Michael K. Hoffritz, D.D.S. 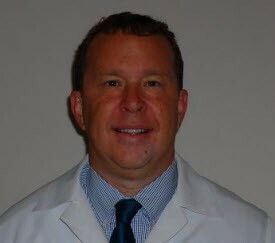 is a profound leader in the dental industry, also President at Northshore Family Dentistry. He is a local of the Slidell area and a graduate of 1979 at Slidell High School. Dr. Hoffritz is also a graduate of Louisiana Tech class of 1983, then he went on to Louisiana School of Dentistry graduating in 1987. Dr. Hoffritz has completed a two year general practice residency of LSU\Charity Hospital certificate (1989). Michael K. Hoffritz, D.D.S. has over 20 years experience in general practice. Certificate in Concious Sedation from American Dental Society of Anesthesiology. Fellow of the Academy of General Dentistry (1998). Completed mastership requirements for the Academy of General Dentistry. Over 1300 Hours of Advanced Continuing Education. ACLS (Advanced Cardiac Life Support) certified. PACS (Pediatric Advanced Cardiac Life Support) certified. Staff member of Slidell Memorial Hospital since 1992. OR cases available and provided. Member of the LDA (Louisiana Dental Association). Member of the NODA (New Orleans Dental Asscociation). Member of the AGD (Academy of General Dentistry). Member of the ASDA (American Student Dental Association). Member of the AACD ( American Academy of Cosmetic Dentistry). 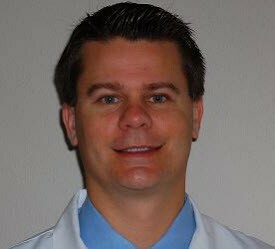 Michael K. Hoffritz is also the only dentist in Louisiana who is ceritified in IV sedation, and a fellow of the Academy of General Dentistry. He has preformed over 1500 IV sedation cases in his office. Michael G. Dragon, D.D.S. grew up in Slidell, La. and he is a graduate from Pope John Paul II High School. Then he went on to graduate from LSU and LSU School of Dentistry. After dental school, he completed a General Practice residency in Columbia, South Carolina at Palmetto Richland Memorial Hospital. During his residency, Dr. Dragon gained experience in IV Conscious Sedation and used these techniques to keep his patients relaxed for anxiety purposes. Michael G. Dragon, D.D.S., is a member of the American Dental Association (ADA), Louisiana Dental Association (LDA), Northlake Dental Association (NDA), Academy of General Dentistry (AGD), and American Dental Society of Anesthesiology (ADSA).